A complete step by step tutorial on 5 Factors Every SEO Specialist Should Consider during Website Audit. Hello friends, I hope you all are doing great. In today’s tutorial, I am going to show you 5 Factors Every SEO Specialist Should Consider during Website Audit. A website audit is a complex investigation of a web platform that is significant for its functionality, promotion, and development. An audit includes analyzing search engines, correcting any problems that prevent it from achieving high-ranking positions, and checking the content and website structure. It shows whether a previous strategy was effective and helps to come up with a new one. It is a regular checkup, and your website is a patient. on page seo check . Every SEO specialist should focus first on analyzing the link base. Search engine algorithms are constantly changing and evolving as research tools keep upgrading together with requirements for web resources. You can choose the most effective by conducting a survey among your colleagues, checking out forums and professional media or using different tools on your own to assist in completing the task more efficiently. Remember to consider that one tool may perform better than another. Inexperienced SEO specialists sometimes pay more attention to keywords and website structure since they are easier to comprehend. However, link research is the core of a website audit with SitecheckerPro and Majestic as a top option for examining links and search engines parameters. Define website trust when looking for donors. Pay attention to Citation Flow and Trust Flow parameters to find good platforms for cooperation. These parameters will help you to analyze whether all the backlinks are suitable your website theme. These two numbers shouldn`t be too different from each other. User analysis for all website links. Use the findings to come up with a strategy of promotion. 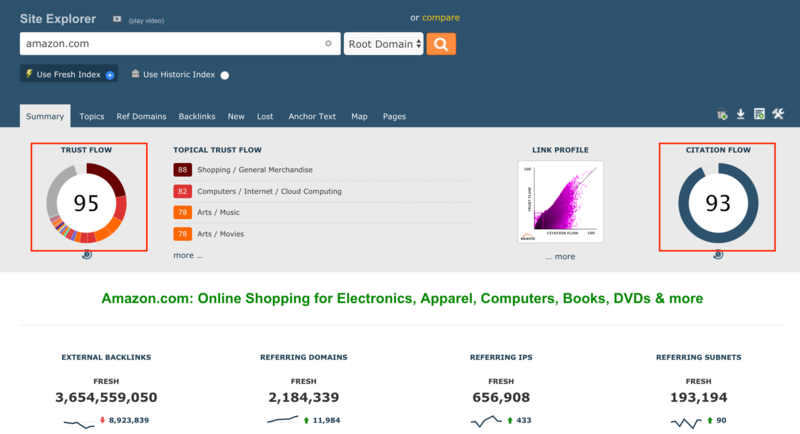 You can explore what type of links your competitors use or analyze your own ones. The main advantage of Majestic is its scale: you are able to analyze up to 10 competitors simultaneously and get access to the largest database of links. Determine the technical health of the site, in order to correctly optimize your website for search engine rankings you can do with the help of Sitechecker.pro. Also, you can use extra features like website monitoring to track the most important pages. It is really useful when you want to monitor indexing issues or content changes. With the help of this software you can track the active number of errors, improve your website health and SEO ranking. Backlinks are the external links to your website. Each backlink is a piece of a puzzle that plays an important role in indexing. The sources and quantity of web page backlinks define the importance of a page and how a search engine decides on the order of link display. Backlinks help to attract a primary audience but remember that quantity doesn’t always define the quality. Strong website architecture requires fewer backlinks. During analysis, you may stumble upon information that will become helpful for improving general design. 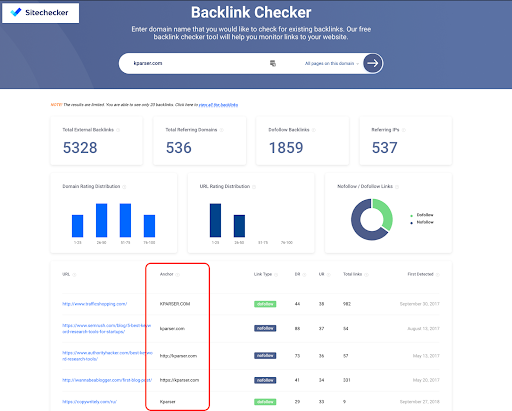 Sitechecker Pro users can check essential backlink parameters. You can start from the Free Backlink Checker: the more reliable the website is that you choose, the better it influences your reputation. The best way is to come up with a short list of trusted websites for efficient backlinks is to use Sitechecker Pro for primary analysis and then do some manual work. A check feature analyses the number of links and domains and then creates a report with trusted themes for all URL addresses. You can look through the top 10 or 20 positions to check everything closely. Indexing data is also displayed in Backlink Checker Report, helping you to attract attention of search engines to the important information. Make sure all the important information is indexed. In Sitechecker, users can also view all 404 error pages and redirect chains and reclaim the ones that are not working. The next step will define whether your links include spam or irrelevant anchors. Anchors are a powerful tool that can either take your website to the top or result in sanctions and blockage. It depends on how good you are at using them. An anchor is a text part of a link – a clickable content that disguises a portal to another page. This text usually consists of keywords inserted directly in the sentence. The more relevant the anchor is, the more significant weight is transmitted by the link. This relevance lies in the relationship between text and link: it should be obvious and logical. Sometimes it is useful to break the main search of synonyms and epithets to make anchors more diverse. There is no perfect strategy for optimal anchor choice. Analyze the choice of competitive web resources and find the most efficient option. What is your best chance to analyze anchors? The answer is – anchor cloud. If you can`t afford majestic tool, there is a free one from Sitechecker. 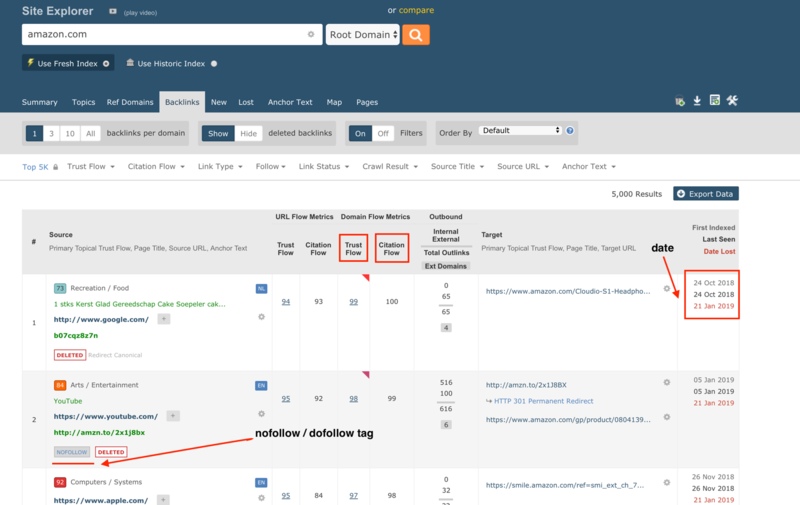 It shows anchors to every backlink you would like to track. Analyze anchor text. If it is not suitable for your business or contain spam words, you have to remove or decline such backlinks. Otherwise, you can get a penalty or warnings from search engines. Explore the topic. Google likes websites which relevant links. If your blog is about Tech but all the backlinks are left from Fashion blogs, there is a big reason to wonder whether you are a spammer. Check external backlinks. It will help you to determine which sites are suitable for you. Now, let’s pay attention to internal structure and navigation. A convenient menu is just the tip of the iceberg. For better performance, you need to create an integral infrastructure and interlink the pages within the website. Besides convenience, this step increases the thematic and statistic weight of the website. The more links lead to a particular page, the more weight it carries. Smart distribution of internal links has a positive influence on indexation results, especially if your website consists of four or more pages. The connections should be logical and help a user to find information faster. Make sure there are no broken links or irrelevant anchors. You can receive the full list of the links that are used for website ranking through Majestic Site Explorer. It is possible to get the list of links found on your website currently and those that were used before. You can see what is working, what is effective, and what needs to be fixed. For instance, some pages were closed or deleted, but you kept sending traffic there. You can solve the problem with a full report of the issues. For these purposes you can try website health checker from Sitechecker. Launch website audit and get the information about all technical errors. You can find 404 error pages, check their anchors and remove from your website. It is important to know your rivals and what is going on in the industry. The analysis of the competitors is crucial for making strategic decisions and understanding the place of your project within the market. 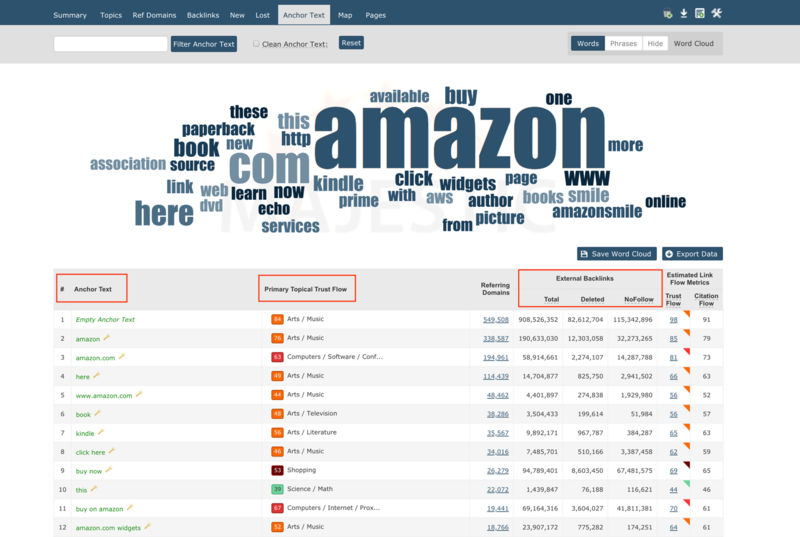 To choose the competitors for tracking, you can use keyword analysis via Majestic. Even if you know your rivals, there is a chance to stumble upon some strong candidates with promising SEO strategies that can become a threat in the future. If you have many keywords in common an analyzed website is your direct rival. If its visibility is high, it probably uses the right strategy for SEO optimization. You need to compare the frequency of visits, the number of indexed pages, keyword density, structure and content, interlinking, etc. You can analyze general features and specific approaches that are important for promotion such as domain age, the number of visitors, meta information, and linking strategy. This data will help you to come up with new ideas and a fresh approach to your own web resource. 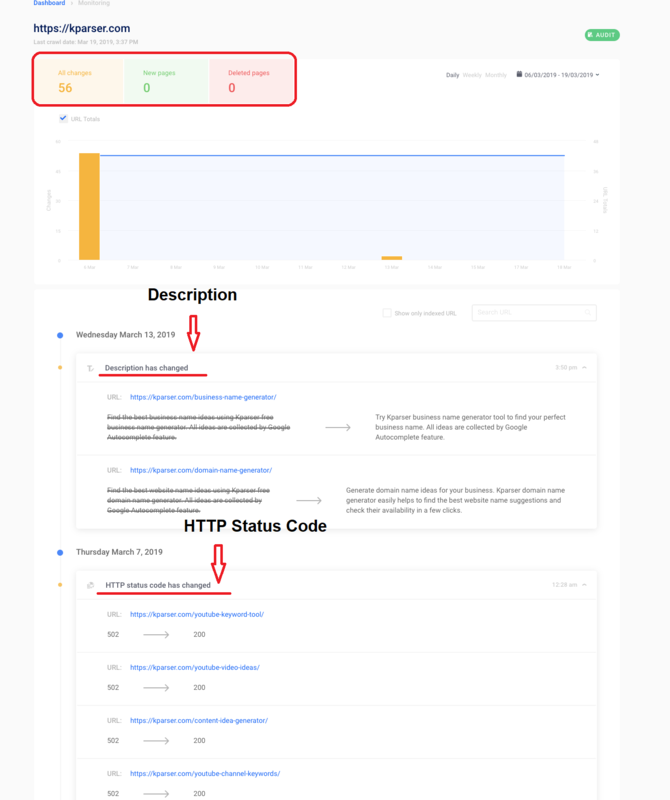 Tracking reports help to keep a check on server uptime, download speed, viruses, and even changes on pages, similar to indexation status and robots.txt file status, and page code. Why is this so important? With time, new people get involved in the working process, the majority with little understanding of SEO. You can explain the basics but monitoring the changes wouldn’t go amiss. You should scan websites to detect such changes and view all notes regarding them in a journal. Great feature getting mails from special when new links are added and get updates on their status. It is possible to get complete SEO reports on the backlinks to compare their value. Keep monitoring the key competitors to get the reports on the relevant link building campaigns every 10 days. 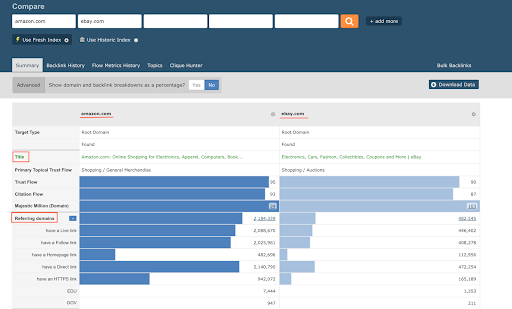 Track the important keywords and compare those with competitors’ performance, too. and better perspectives for monetization. When you need to detect all issues of the websites functioning and analyze the competitive environment, choose a comprehensive audit which includes a technical audit, SEO analysis, usability check, and a marketing audit. The technical audit is aimed at analyzing hosting, website coding, website management features, software vulnerability, loading time, etc. SEO audit shows website success regarding its rating in search engines. You are to investigate content quality, external links, indexed pages, the correctness of titles and meta tags. The purpose of a usability check is to detect how convenient your website is for users by studying website design and analyzing the ease of technical manipulations, such as entry and exit and filling in electronic applications. The final stage helps to make sure the website is compliant with the requests of the target audience and has advantageous differences compared with competitors’ websites. A website audit is a significant step in upgrading your web resource, and it should not be neglected. Timely and high-quality analysis ensures the stable and efficient functioning of a website. Conducting an audit on a regular basis guarantees that your web resource will occupy high positions in the search results and ensure new customers.